A large warbler. 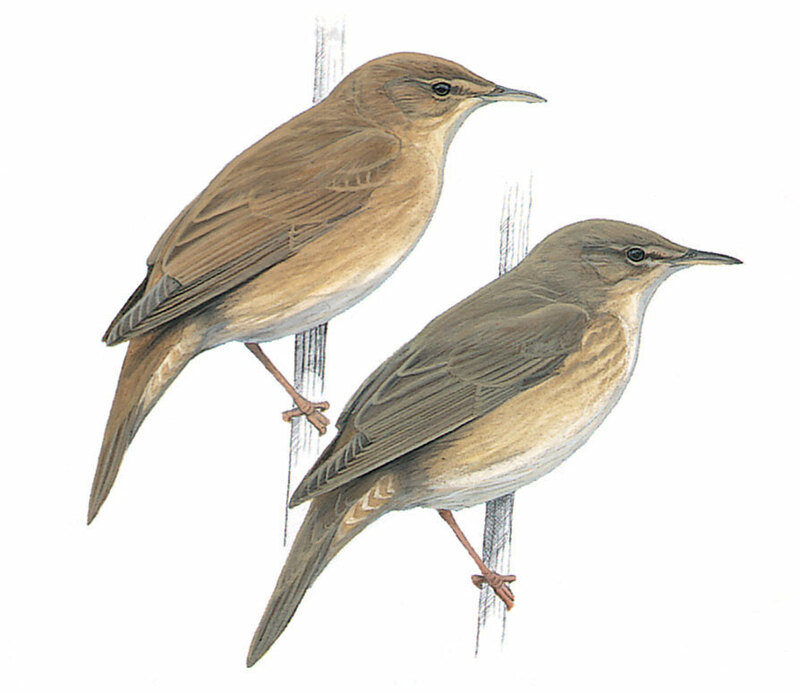 Warm brown in clour, with diffuse lines or spots on breast, long undertail coverts, sometimes pale tipped, Often seen on ground, with bobbing or raised tail, walking with jerky movements. A secretive bird.